Welcome back to my college tips series! Check out my first post here (and my third one here). 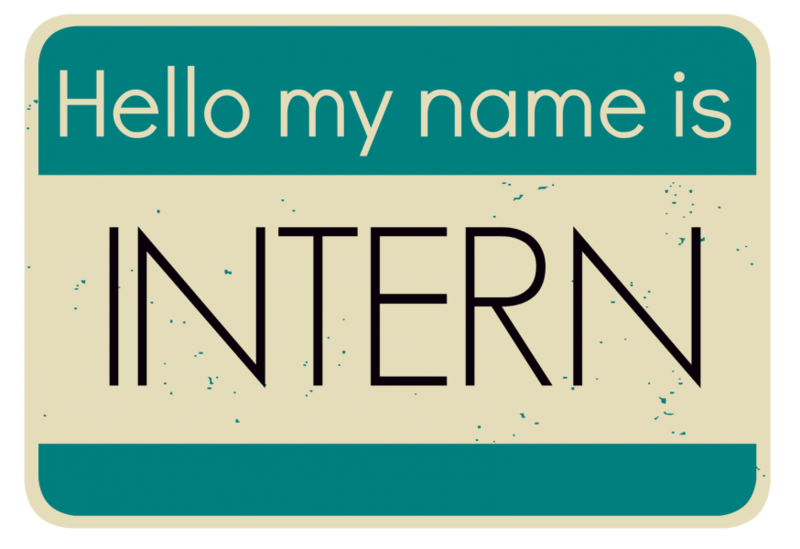 A lot of you asked me to talk about internships so I decided to dedicate an entire post to them! How did I get my first internship? Every semester my school has a career fair where tons and tons of companies come and are looking to hire! I went every single semester. Tip 1. Put yourself out there. I was shaking in my boots as a little freshman going to talk to these big companies with my resume full of high school accomplishments. Every single recruiter told me I need to put college things on my resume. They didn't seem to care that I was a freshman and didn't have a thing to put down from college yet! But I kept going out of my comfort zone and learned to talk to recruiters more easily. Eventually I found a company who likes to bring in younger people as interns so they can mold them a certain way. And thus my first internship! You should do your research to find companies that are looking for interns with your skill set. Also make sure that they are a good fit for you, and seem like a job you would like - you want to enjoy your work as much a possible! During my internship I took a class online so I wouldn't fall completely behind at school. After my internship was over I knew that was what I wanted to do as a career. I really enjoyed working and I learned so much from my internship. The things I learned in class were obviously important but the things I learned from my internship - from technical skills to soft skills - were so so valuable. I did another full year of school before my next internship, the company had asked me to return after my first internship. The next few tips are from things I learned at work. Tip 2. Network. Everyone and their mother will tell you that this is important to do and I am agreeing with them! It can be scary at times to set up a meeting with someone you don't really know (or know at all) but just remember everyone started out just like you! Everyone I ever met with was happy to chat with me and I really enjoyed hearing about their experiences. Plus it makes doing your work that much easier because you have more contacts to help you when you need it - and you will need it! Tip 3. Don't think of yourself as an intern. Well, first get a feel for your company culture before following this advice. But if you are being assigned projects that would otherwise be assigned to a full time employee then you should be good to try this. Don't think of yourself as an intern, think of yourself as a full time employee and your work will improve. People will respect you more if you are taking your work as seriously as they are. Tip 4. Know your stuff. This can apply for school projects too! Anytime I had to present my work I was nervous, but when I knew every single little tiny detail about what I was talking about I had so much more confidence. I knew I would be able to answer any question asked of me. Make sure you know everything from the background of your project, to how you found your results and how you calculated any numbers. After my second internship I did another full year (fall and spring) and then back for my third and final internship. At this point I had taken tons of classes for my major and finally felt like I really knew what I was doing! I also felt more comfortable at work because I knew more people after doing two prior internships. I knew that this would be my last internship because I only had one more year left before graduation. I already knew I wanted to work for the company full time so I made it my mission during my last internship to make that goal a reality. I followed Tip 3 like no body's business. I tried to only ask for help when I really needed it and reached out to so many people so I would be remembered. At the end of the summer I did an interview with the company but knew I would have to wait a while before knowing if I got the job or not. Tip 6. Don't Lie. Ever. This may seem obvious, and it is, but for some reason when people are at work or a part of a project team little white lies seem to flow out all the time! Things like, "oh yeah I'm almost done with that", or "yes we double checked that number" when neither is true. One thing I think helped me stand out at work is my absolute, 100% honesty policy. If someone asks you a question that you don't know the answer to, let them know you don't know but will find out and get back to them. NEVER just make something up just so you can give them an answer. If you're asked a question you know the person will not like the answer to, still be honest! The truth has a way of coming out and trust me it is easier to tell it now rather than later after you have already given a different answer. This can apply throughout life, not just at work. Sorry for a bit of a rant but that is one of my pet peeves! I will do a college blog post to cover my senior year and full-time job search and figuring out "the real world" soon! Don't forget to ask me questions in the comments to be answered in a future post! I can't wait to get my first internship! You always have amazing tips! Keep it up, Katie!